Tribune Publishing Recognizes 'Hartford Courant' Newsroom Union The parent company of the Hartford, Conn., newspaper has agreed to recognize a new union representing nearly 60 journalists. The move comes just four days after they petitioned to unionize. Tribune Publishing has agreed to recognize a new union representing journalists at the Hartford Courant in Connecticut's capital. Journalists at the Hartford Courant have won the right to organize, just four days after they asked parent company Tribune Publishing to recognize the union. Organizers at the Connecticut newspaper had also filed a petition for a union election with the National Labor Relations Board. "The company has agreed to voluntarily recognize the Hartford Courant Guild as the representative of certain newsroom employees at the Hartford Courant and Courant Community," Tribune Publishing said in a statement Friday. "No date has been set for the beginning of contract negotiations." The Hartford Courant Guild will cover nearly 60 reporters, editors and photographers at the paper. More than 80 percent of eligible staffers signed union cards saying they want to be represented, organizers said. "We acknowledge Tribune Publishing for taking this step, which expedites contract negotiations, and recognizes the overwhelming will of our newsroom to take a seat at the table," the union said in a statement. 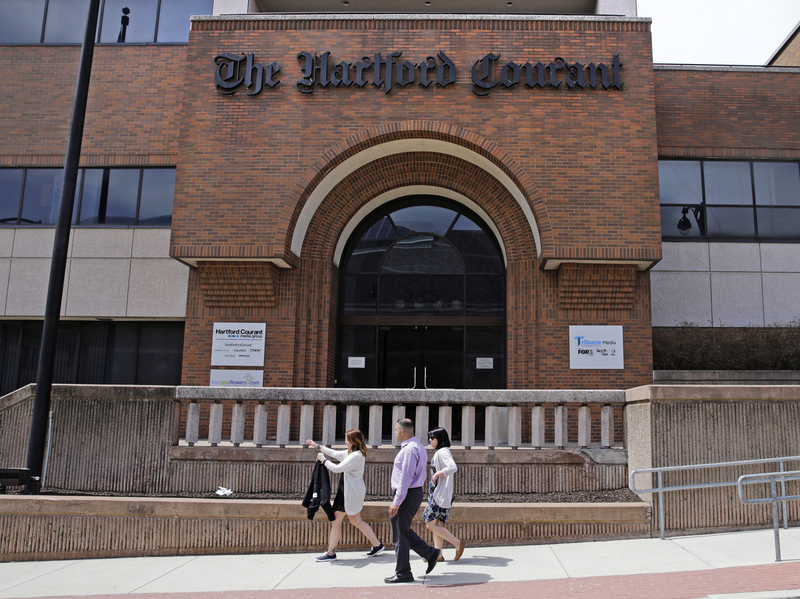 It added, "We look forward to building a more productive and collaborative relationship with the company as we join the conversation shaping the future of the Hartford Courant. We fight for improved resources and support so we can continue to serve our readers to the best of our abilities." Tribune Publishing has been the focus of sale and merger talks, and in January the newspaper chain announced the departures of its CEO and the two top officials of its digital arm.